Denis MacShane is a former UK Minister of Europe and author of Brexit: How Britain Will Leave Europe. Boris Johnson has underlined the truth of the dictum “He who wields the dagger never wears the crown.” Johnson destroyed the career and place in history of his fellow Old Etonian David Cameron. If Lord North in the 18th century was the Prime Minister who lost America, David Cameron in the 21st century is the PM who lost Europe. 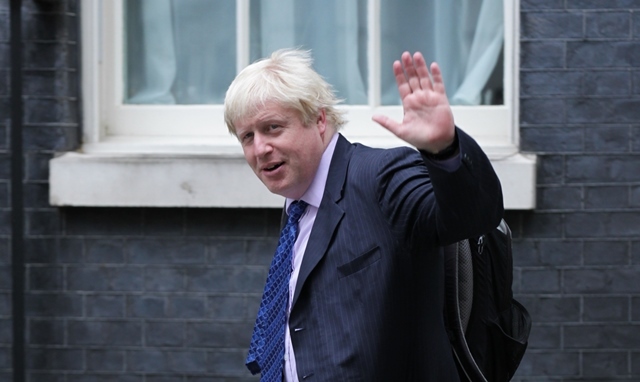 Simon Heffer, one of the senior right-wing columnists in the British media and a noted historian, has written that Johnson is a “proven liar”. The whole of the Leave campaign was based on a series of lies – namely that outside the EU there would be no immigration from Europe into Britain or that Britain would have £350 a million a year to spend on the NHS or that Turkey was about to join the EU and so 75 million Turks would arrive in Britain tomorrow. He became Nigel Farage’s useful idiot as the UKIP leader was perfectly justified in his claim to the European Parliament that he was the initiator of the demand for a Brexit referendum which David Cameron so casually gave him in January 2013. We can leave the Tory Party and “Borisologists” the pleasure of working out why he did it but the significance of his standing down is important for what happens now on the UK and Europe. Almost certainly the main beneficiary of Johnson giving up is Theresa May, the Home Secretary. Sir Nicholas Soames MP, grandson of Winston Churchill, and a roistering ebullient supporter of Remain immediately switched his support to May. Johnson himself wrote on Monday (27 June) that the UK would have to accept free moment if it wanted to keep Single Market access. 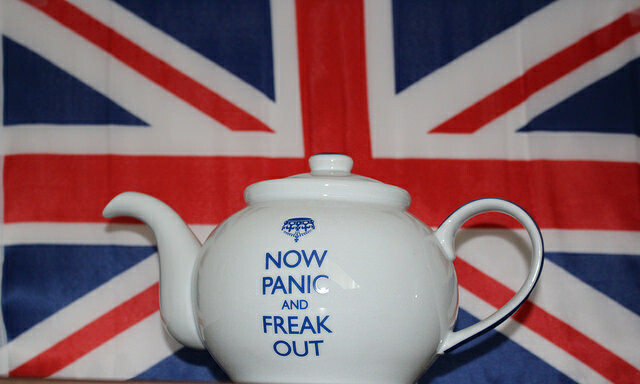 It was a warning to his Leave believers that he, Johnson, might have to make concessions in his Brexit negotiations that the Leave camp campaigned against. Now if May becomes PM she is formally a Remainer. She has criticised the EU and is hostile to the ECHR but she stood side by side with David Cameron making it clear that Britain should not leave the EU. Can she now find means that avoids a permanent rupture with Europe and the loss of the UK’s geo-political role and attractiveness to foreign investors? Of course the majority vote in the referendum must be respected. But it represented only a third of the electorate and Cameron foolishly did not insist that a higher bar should be set as is the norm in other countries where referendums on major constitutional change require two-thirds majorities or the consent of all four component nations in the UK. Constitutional lawyers have raised questions about the need for Parliament where there is a clear pro-EU majority to be consulted on any final decision to leave the EU. As it becomes more and more clear the very high economic price of losing Single Market automatic passporting access for all banks and businesses in the UK – the City, for example, losing its profitable business trading and clearing Euros – there is a definite sense that the English are waking up to the economic consequences of Brexit. In Scotland there is now near unanimity that in the event of Brexit, Scotland would hold a referendum and become an independent state in the European Union – thus ending the history of the United Kingdom. Four million people have signed an online petition calling for a second referendum – far more than the difference between the Remain and Leave camp. Thus the possibility opens as in other EU member states that have reversed initial No votes in referendums and stayed as EU members that a second referendum could be held. The probable replacement of the weak, sad Jeremy Corbyn as Labour leader by a strong purposeful woman, Angela Eagle, who shares some of the flinty determination of May opens the vista of an effective united party leadership of two women who want to stay in Europe. Of course the off-shore owned press and the City Europhobes who funded UKIP and the Leave campaign would be furious. But these are the elites that seek to dictate British global policy in their own interests and with a re-invigorated campaign focused on the truth and a BBC that stopped pandering to Eurosceptic truth-benders like Farage and the obsessive anti-EU Tory MPs, the British people can be awakened to vote in a second referendum to uphold their vital national interests which have always been damaged by relapses into isolationism. In short the Battle for Britain and the Battle Against Brexit is not over. May can redeem the lost honour of the Conservative government which David Cameron foolishly threw away with his casual plebiscite pledge and like the last female leader of the Conservative Party make her mark on history. What does it mean for democracy in the UK, the EU, and throughout the world, if the will of the people can be overturned to placate the losing side in such an important plebiscite? It’s another sign of a rigged democracy, that when in a political campaign the participants can spread the biggest, grossest and most damaging lies they can come up with in order to win the argument. It’s a failure of the law that there are no rules, no guidelines and no consequences. People like Boris should simply get charged.